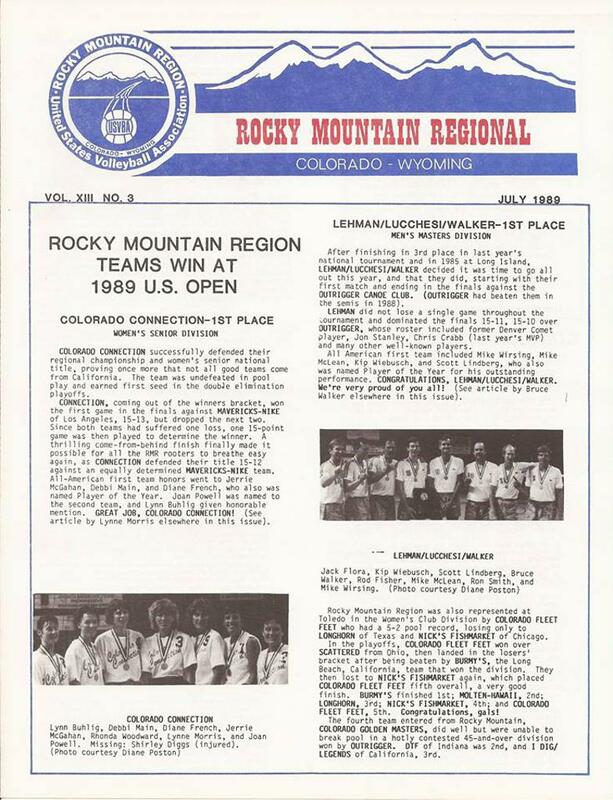 Colorado Connection most dominate women's team 1988-1994 and possibly in RMR's history! SIX Regional AA Championships, five of them back to back, and THREE national women's 30 championships and TWO second place women's 30 national finishes. Here's just a few of the articles featuring their victories! 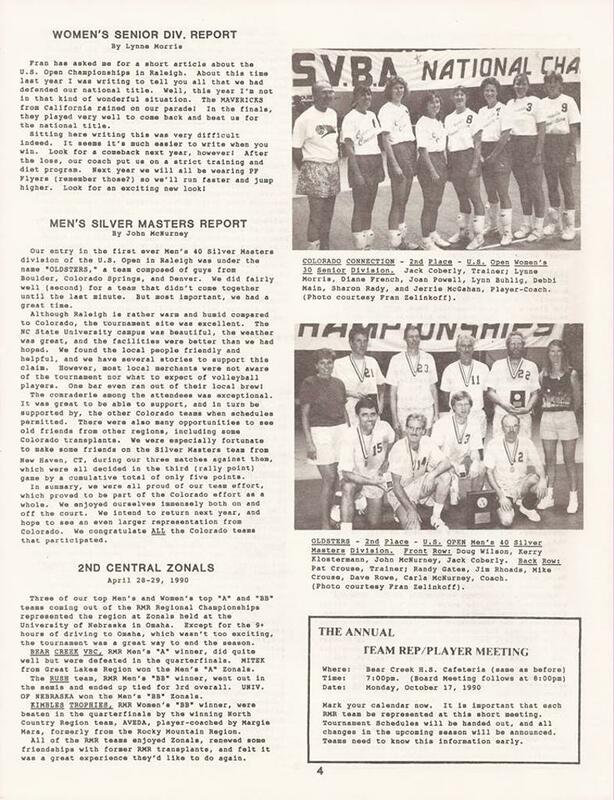 US Open All Americans over these years: Diane French (MVP), Jerrie McGahan (MVP), Joan Powell, Rhonda Woodward, Lynn Buhlig, Debbi Main (MVP), Lynne Morris, Nancy Holm.